Parenting little people is an incredibly big responsibility. Consider all of the important decisions we make on a daily basis regarding the well-being of our children's futures. 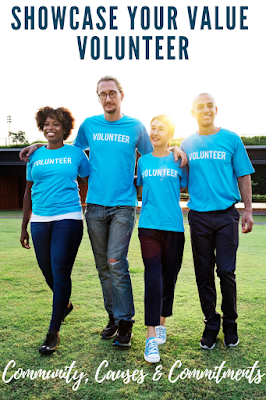 Sharing the most powerful influences in our lives to best benefit our family is sometimes a challenging task to fulfill. Bridging the culture gap, many of our most creative masterminds reach out to younger minds, inspiring new generations. 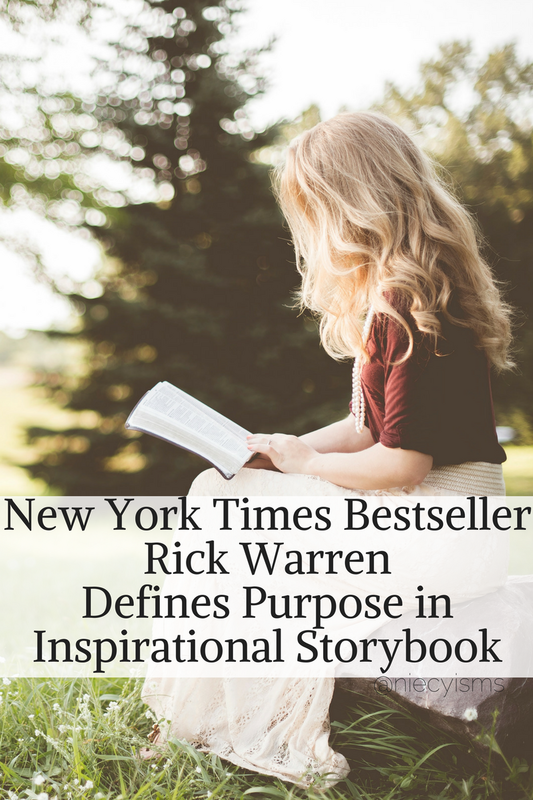 Having found inspiration and direction for my own life in reading, The Purpose Driven Life written by "America's Most Influential Spiritual Leader", Pastor Rick Warren, #1 New York Times Bestseller brings inspirational stories to little learners in his new children's book, God’s Big Plans for Me Storybook Bible. 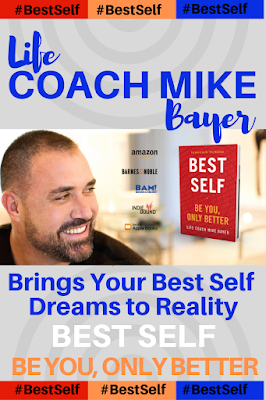 Thank you to the promotional team for Rick Warren and FlyBy Promotions for the courtesy of providing an advanced reader copy for editorial content purposes. 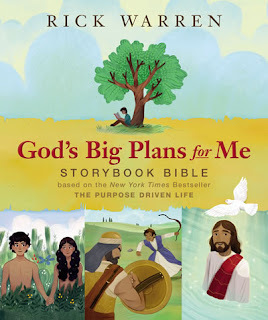 God’s Big Plans for Me Storybook Bible defines the concept of understanding our life's purpose to a younger crowd, following the 40 basic principles originally written about in Pastor Rick Warren's #1 New York Times bestselling book, The Purpose Driven Life. Composed in simple, entertaining stories, with lively illustrations, and chronological biblical lessons God's Big Plans for Me Storybook Bible is a book for all to enjoy. Pastor Warren connects each of the 40 Bible stories with a theme from his widely-acclaimed principles outlined in The Purpose Driven Life. Closing each of the stories with an opportunity to Think, Remember, and Question for reflection, treasured Bible stories are brought to life in God’s Big Plans for Me Storybook Bible. My son and I are taking time each night to read through each of the stories in God's Big Plans for Me, as we discuss his understanding and application of the messages of life's purpose found within the Bible stories. Take a look at God's Big Plans for Me Storybook Bible by Pastor Rick Warren for an inspirational read.